გიორგი მამედოვი არის დამოუკიდებელი კურატორი და ხელოვნების მენეჯერი. დაიბადა დუშანბეში (ტაჯიკეთი), სადაც 2009 წლამდე მუშაობდა ბაქტრია კულტურისცენტრის დირექტორად. მისი კურატორული პროექტები მოიცავს:ტაჯიკეთის პრე-ისლამური მემკვიდრეობა: არა სამუზეუმო ინტერპრეტაცია (2008 წ. ), შემწყნარებლობის გამოცდილება. ევროპის კვირეული ტაჯიკეთში (2008 წ. ), ავტობუსის გაჩერება: იაშმედ ხოლიკოვის პერსონალური გამოფენა (2009 წ.). ამჟამად გიორგი მამედოვი არის ცენტრალური აზიის ინტერდისციპლინარულ პროექტის, ხელოვანები და/ საზოგადოება(ში) კურატორი. აგრეთვე არის 54 ვენეციის ბიენალეზე ცენტრალური აზიის პავილიონის გამოფენის Lingua franca/Франк тили კურატორი. Georgy Mamedov is an independent curator and art manager. Born in Dushanbe (Tajikistan), where till 2009 he worked as the director of Bactria Cultural Centre. His curatorial projects include Pre-Islamic Heritage of Tajikistan: not a museum interpretation (2008), Experience of Tolerance. 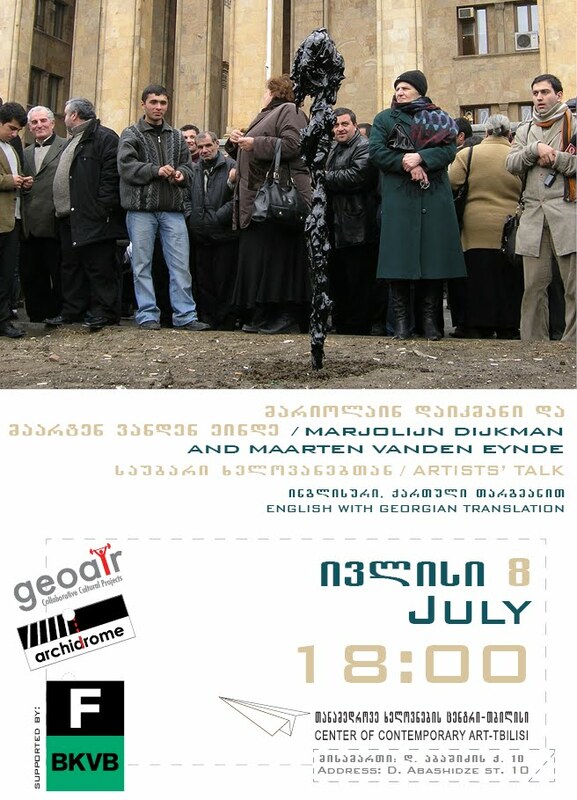 European Week in Tajikistan (2008), Bus Stops: personal exhibition of Jamshed Kholikov (2009). At the moment Georgy curates Central Asian interdisciplinary project, Artist and/in Community and he is a co-curator of the Central Asia pavilion Lingua franca/Франк тили at the 54th Venice Biennale.